My middle child is a risk taker. She's beautiful and feisty and a button pusher (both figuratively and literally. If there's a button, she's pushing it). She has to figure things out for herself. You can warn her all day long about the consequences of a certain action, but she won't stop until she has seen the end result for herself. For better or for worse. Poor Abe. Fella just can't catch a break. 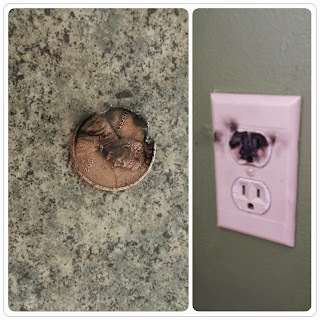 Do you know how many times I have said, "Don't put things in the outlet. You could get seriously hurt" to our kids? I don't have an exact number, but it falls somewhere between 20 and 145,846 times. Do you know what my youngest daughter apparently heard each time? 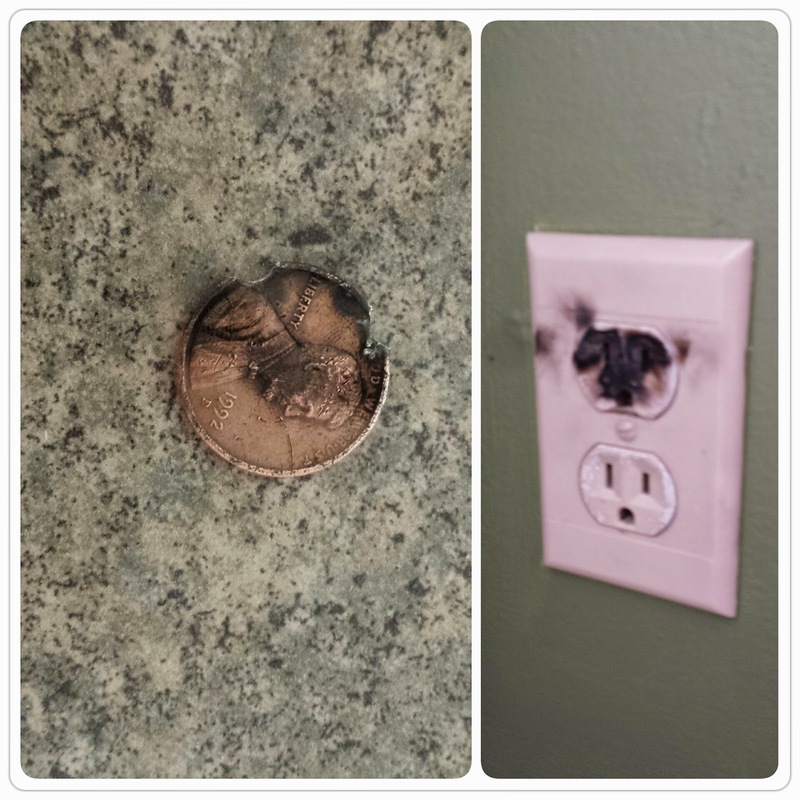 "Don't put things in the outlet. Unless I'm not in the room for 2.5 seconds and you find the one uncovered, semi-hidden outlet in the house and you happen to have a penny readily available. Then, BY ALL MEANS." By the grace of God, she's okay, the house is okay, and the T.V. that plugs into that outlet is okay (top three priorities, obviously). The worst thing that happened was some sort of loud popping noise (could have been my sanity, we'll never know for sure). She has a Pavlovian reaction and covers her ears whenever someone goes near the outlet now. But the most important thing is that she learned a lesson and she'll finally believe me when I tell her not to do something, right? RIGHT?